One of the best part of our job doing food tours is that we make new friends each day. Most of our clients are passionate about food and many come with a list of shops and restaurants to visit while in Japan. 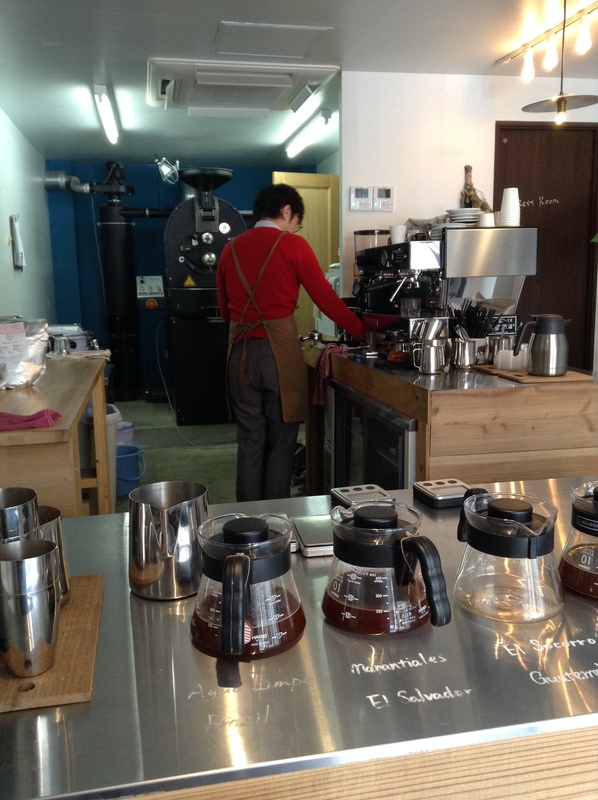 A well-traveled coffee aficionado told me that he had been visiting many coffee shops during his visit to Tokyo and that hands down his favorite was Switch Coffee in Meguro. The client and I had shared a coffee together and I knew that I could trust his recommendation. He filled his suitcase with Switch Coffee to take home with him. 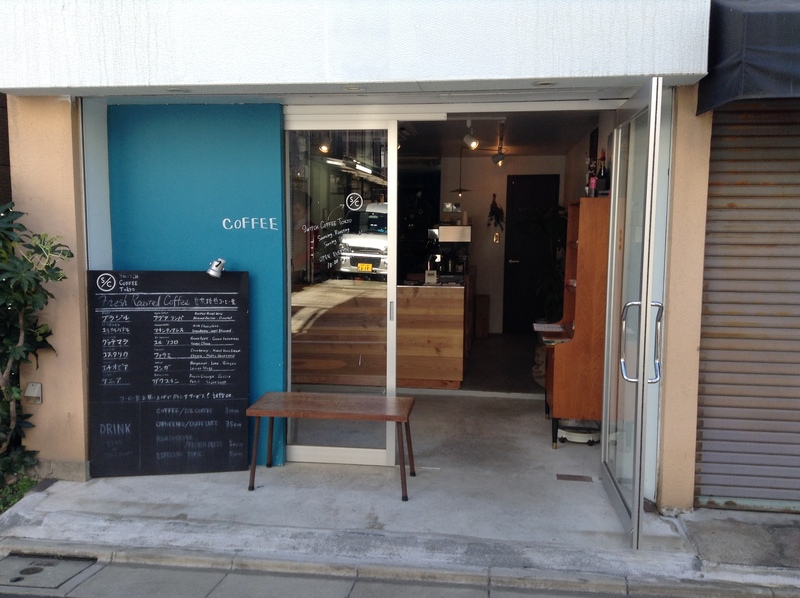 Switch Coffee is a nice walk from Meguro station, down the hill and near the Meguro River in a quiet residential area. It was almost too quiet and I had to keep looking at Google Maps to make sure I was headed in the right direction. The map on his website works like a charm. You will know when you have arrived when you see the cerulean blue shopfront. There is a small bench in front of the shop, just right for enjoying a cup. Don’t come here expecting to get any work done on your laptop. Onishi-san helped to recommend beans to take home as well as something to drink there. 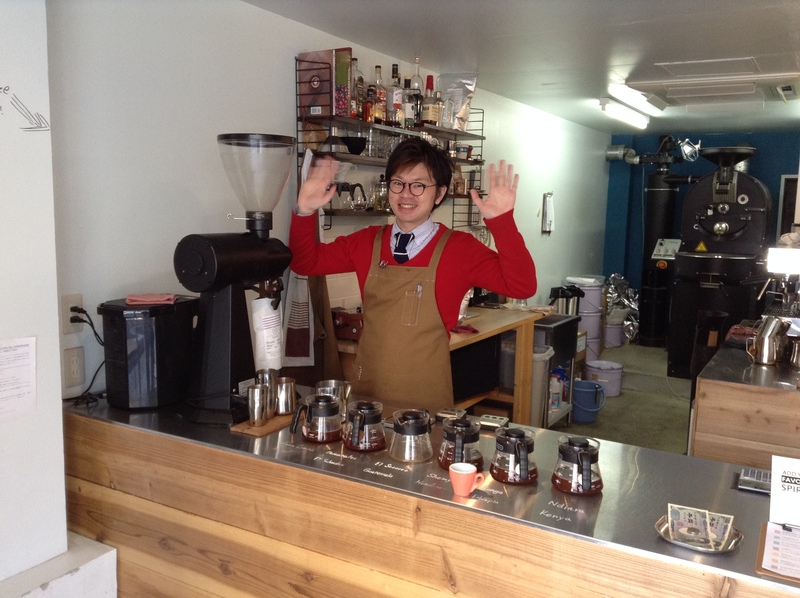 Masahiro Onishi-san had a half-dozen coffees on the counter to sample. The coffee does not sit on a burner, so it may not be hot when you sample it, but it is enough to know if you would like the coffee or not. The coffee menu includes espresso, pour-over, and French Press. 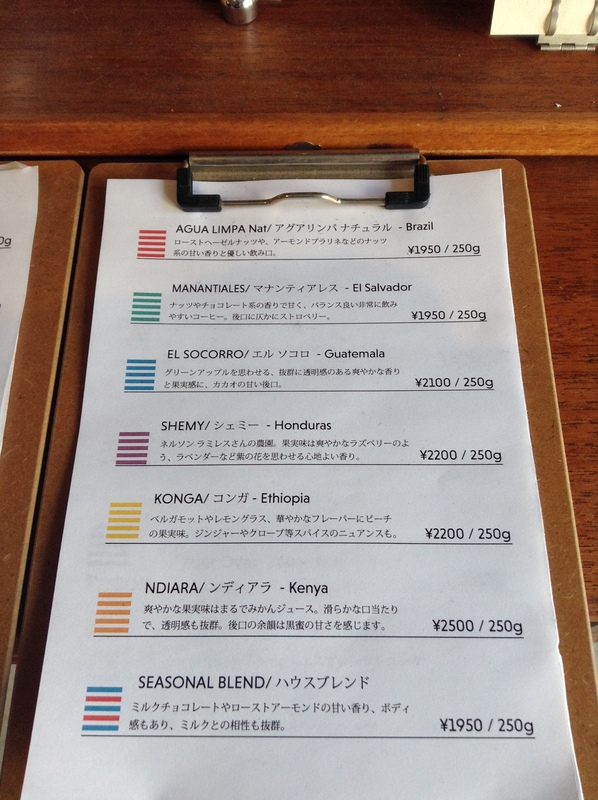 Many coffee shops in Tokyo serve a dark roast. Onishi-san lightly roasts his beans in the back of the shop. For me it was a refreshing change from what I am used to. This coffee shop and micro-roastery is a must visit if you love coffee. There is a wonderful book written by my friend Merry White called “Coffee Life in Japan,” all about the kisaten. Boston is about to get its first Japanese style coffee house in downtown Boston called Ozawa. Awesome that a Japanese coffee shop is opening in Boston. Look forward to hearing about it.